Do you need a work truck that can withstand the elements without compromising performance? Two pickup trucks that are up for the challenge are the 2019 Chevy Silverado 2500HD and Ford Super Duty F-250. We’ll be taking a look at the pros and cons of each model to ensure you choose the vehicle that best meets your requirements. Don’t forget to check out the new vehicle inventory at our Chevy dealership near Gary, IN for Silverado 2500HD trim availability. You can also learn more about the Silverado 2500HD to see if it’s the perfect pickup truck for your lifestyle. For the purposes of this comparison, we’ll be looking at the 2019 Chevy Silverado 2500HD LTZ, starting at $50,795 MSRP, and 2019 Ford F-150 Lariat, starting at $46,140 MSRP. Each model comes with a V8 engine, the 2019 Chevy Silverado 2500HD includes the 6.0L VVT, and the Ford F-250 Super Duty with a 6.2L FFV. Both vehicles are also available with a turbo-diesel engine, but the Chevy Silverado 2500HD’s is paired with the 6-speed Allison® automatic transmission to help you power through the day with ease. Drivers also have the option of a 4×2 or 4×4 drivetrain with both models. Are you looking for tools designed to make your daily drive simpler? The Chevy Silverado 2500HD and Ford Super Duty F-250 both come with a number of useful and comforting features, but the Silverado 2500HD has a few more that will surely elevate your day. 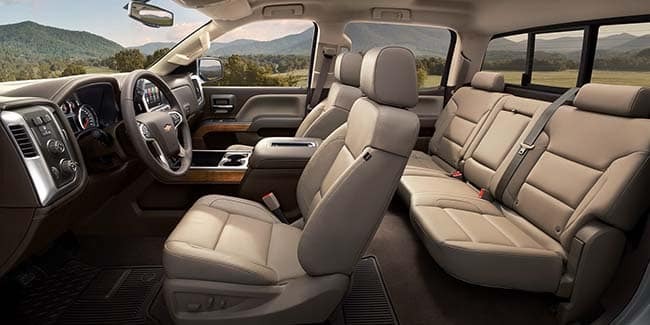 Get comfy with the heated front seats on the Chevy Silverado 2500HD. This option is unavailable on the Ford Super Duty. LED cargo box lighting is available on both vehicles. The CornerStep rear bumper, exclusive to the Silverado 2500HD, makes it easy to access the truck’s bed. Your safety and access to modern technology is highly important if you run a business on the go. If you choose the Silverado 2500HD or Ford F-250, you’ll surely have plenty of both to take advantage of. However, they have a number of differences that will make each driving experience completely unique. A rear-seat entertainment system is available with the Chevy Silverado 2500HD. This feature is not available on the Ford Super Duty F-250. Teen Driver technology is standard on only the Silverado 2500HD. A built-in 4G LTE Wi-Fi® hotspot is also only available on the Silverado 2500HD. Both vehicles have a post-crash emergency alert system, but our team thinks you’ll prefer OnStar® connectivity services. 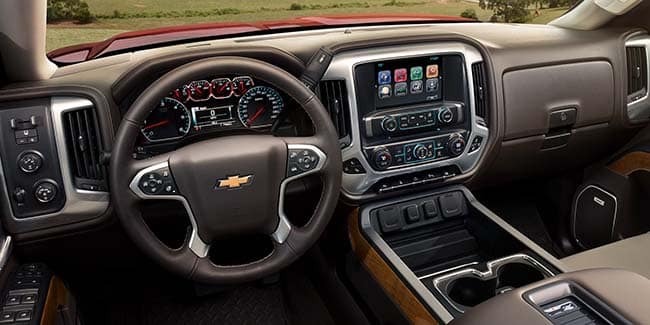 Schedule a 2019 Chevy Silverado 2500HD Test Drive Today! Take the new Silverado 2500HD for a test drive at our Chevy dealership near Gary, IN when you schedule an appointment. Please don’t hesitate to reach out to Mike Anderson Chevrolet of Merrillville by using the online form or calling (219) 947-4151.